There is one thing that brings the whole room together: the flooring. Without the right flooring, your room can have design elements in all the right places and still not look right. When choosing the ideal flooring for your room or home, there are many things to consider. 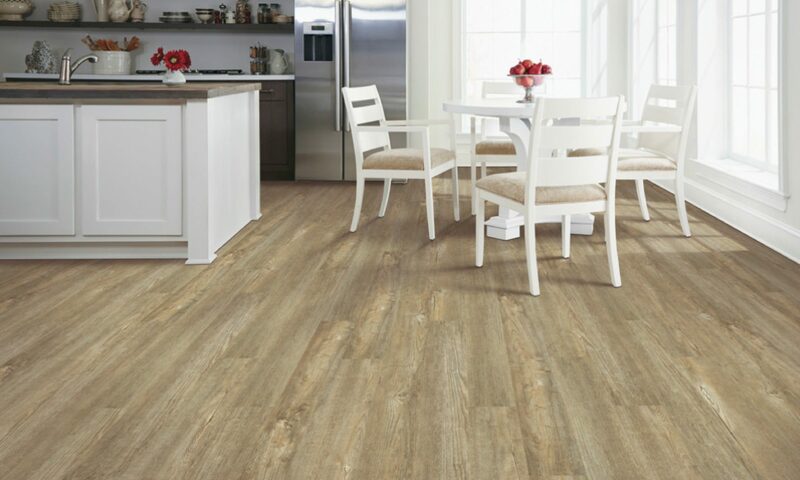 With luxury vinyl plank, tile, or sheet vinyl, you can opt for a high-end look without a high-end price tag. Our wide selection of hardwood and stone looks can give any room—even a bathroom, utility room, or mudroom—the upgrade it deserves. Luxury vinyl is soft and keeps a constant temperature in all seasons, so it’s comfortable to walk on barefoot. It can even ease long periods of standing, making it a great option for the kitchen. Luxury vinyl boasts outstanding performance: it withstands spills, scuffs, and even scratches from family pets. Its tight, waterproof fit and resilient surface make for easy cleanup that won’t damage your subfloors. Innovo proudly carries the SolidTech line of Luxury Vinyl Tile by Mohawk. SolidTech vinyl plank flooring introduces a totally new class of hard surface floors. SolidTech vinyl plank flooring isn’t water-resistant—it’s waterproof. That means Uniclic MultiFit technology creates an impenetrable, tight lock that does not allow liquid through. Splashes and spills are kept on the surface for easy cleanup. SolidTech is the only vinyl brand on the market designed with a waterproof and stain-resistant system capable of withstanding family life with kids and pets running through a home on a daily basis. The same remarkable engineering that makes SolidTech waterproof also makes it impervious to odors. SolidTech will not absorb even trace amounts of liquid, so there’s no mildew growth. Air remains fresh within the home. Our selection of flooring, from leading manufacturers, offers numerous options for colors, materials, thickness, installation processes, and more. We will work side by side with you, helping to meet your needs and desires, as well as your deadlines and staying within budget. Schedule an appointment to see which products would best suit your need. We are the authorized dealer for Shaw and Mohawk flooring products, along with many others.